Standing out is what we are known for. When you think mid-size ATVs, you don’t think Independent Dual A-Arm Suspension, Cargo Racks, or a standard 2,500LB Winch. 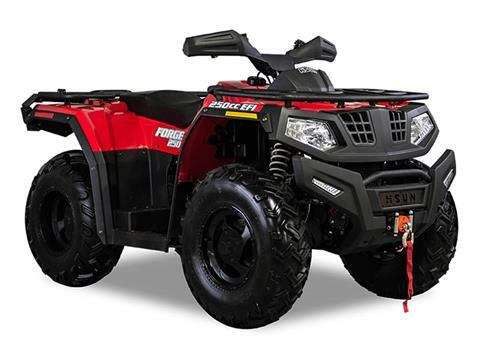 The Forge 250 comes standard with a list of extras that are raising the bar for mid-size utility ATVs. Empty Vehicle - 639 lb. Gross Vehicle - 937 lb. Front 44 lb. / Rear 77 lb.